Could this bowling alley spell the end of Berghain? Berghain is Berlin’s techno mecca and the crown jewel in Europe’s clubbing crown, but a proposed new development could threaten the future of the renowned club. Electronic Beats are reporting that a new commercial development could dramatically change the area surrounding the German superclub, which is currently fairly deserted. 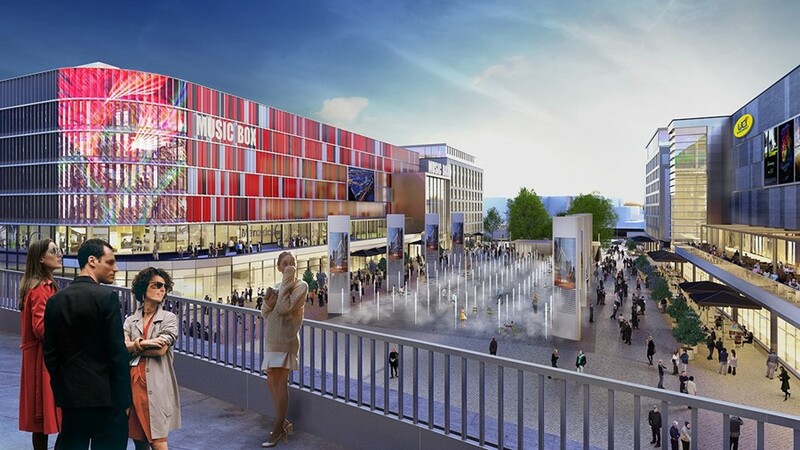 The ‘entertainment district’ (similar to the one surrounding London’s O2 Arena) would expand the area around the Mercedes Benz Arena to reach almost directly across from Berghain, while plans to include a shopping mall, bowling alley, restaurants, and other family-friendly businesses would potentially clash with the all-hours debauchery that takes place at the club. According to Berliner Woche, the official groundbreaking ceremony took place on June 6, with construction planned to last until 2018. As Electronic Beats point out, the development echoes the one that saw its predecessor Ostgut moved from its original location thanks to the construction of O2 World Berlin, the event space that later became the Mercedes Benz Arena. While it’s impossible to say what would actually happen to the club in light of these proposals, there’s understandably cause for concern – venues hardly have a great track record when it comes to surviving these sorts of corporate developments. If Berghain does shut down, at least your grandchildren will be able to simulate getting rejected from the club.